France’s President Francois Hollande has called for “eradication” of the world’s tax havens and told French banks they must declare all of their subsidiaries. Francois Hollande was speaking after presenting a draft law aimed at “moralizing” French public life – a response to the tax scandal that has shaken his presidency. France’s ex-Budget Minister Jerome Cahuzac has been charged with fraud over a secret Swiss bank account. 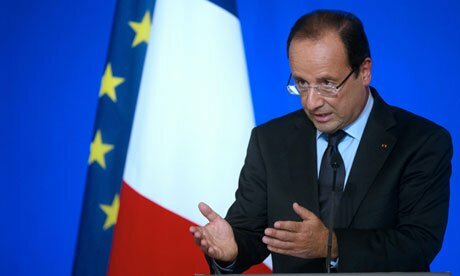 President Francois Hollande said a new central agency would fight fraud and corruption. Earlier the French Socialist government set a deadline of April 15 for ministers to declare their assets, as part of the new transparency drive. Jerome Cahuzac admitted last week that he had hidden about 600,000 euros ($770,000) in a Swiss bank account, causing shock in France. He has now been expelled from the Socialist Party for lying about his financial affairs. Addressing a news conference on Wednesday, Francois Hollande said “tax havens must be eradicated in Europe and worldwide”. The presidentsaid French banks “will have to publish every year the full list of their subsidiaries in the world, country by country”. They will also have to explain their business, Francois Hollande said.